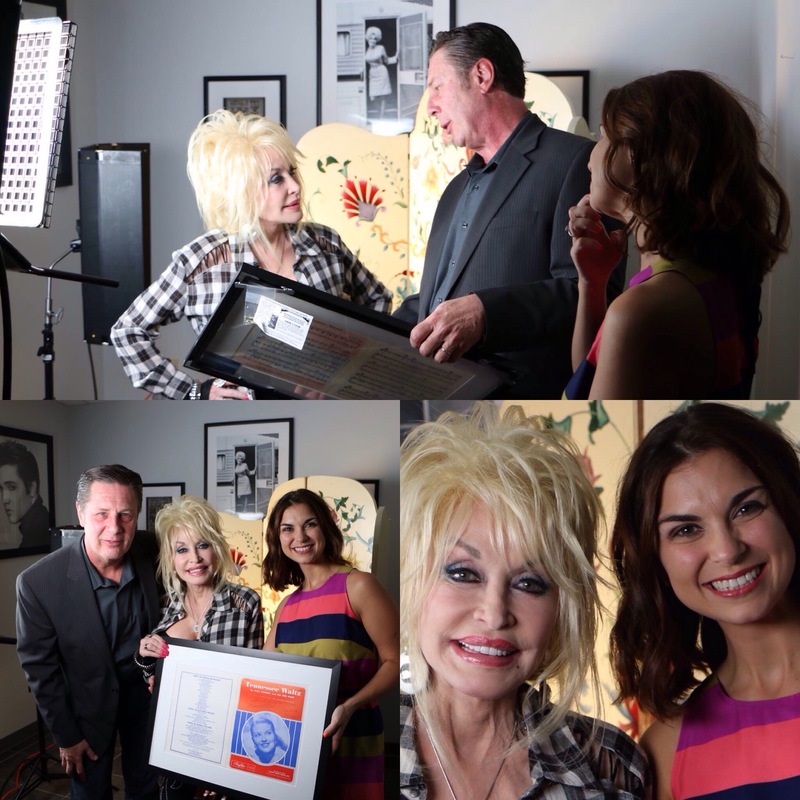 Today the Nashville Songwriters Association International ( NSAI Executive Director Bart Herbison and Senior Director Of Operations Jennifer Turnbow) visited Dolly at her Office in Nashville to give her a gift, a sheet Music Of ” Tennessee Waltz” signed by the songwriters Pee Wee King and Redd Stewart. This entry was posted in News, Uncategorized and tagged Dolly Parton, Gift, Music Sheet, Nashville, Nashville Songwriters Association International ( NSAI Executive Director Bart Herbison and Senior Director Of Operations Jennifer Turnbow, Office, Staff, Tennessee, Tennessee Waltz by dollyfan. Bookmark the permalink.